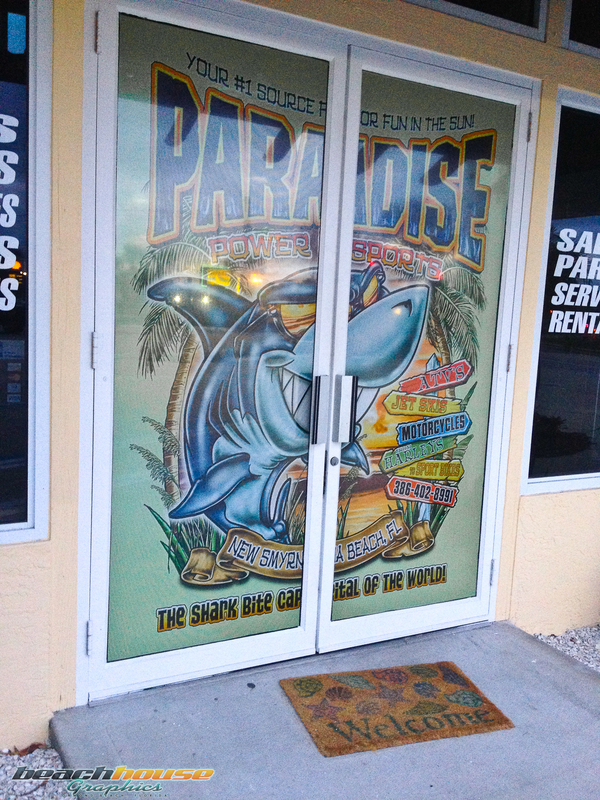 There is always the age old question on how to grow your business through advertising…one of the best ways is to enlist Beach House Graphics to design your building and vehicles. 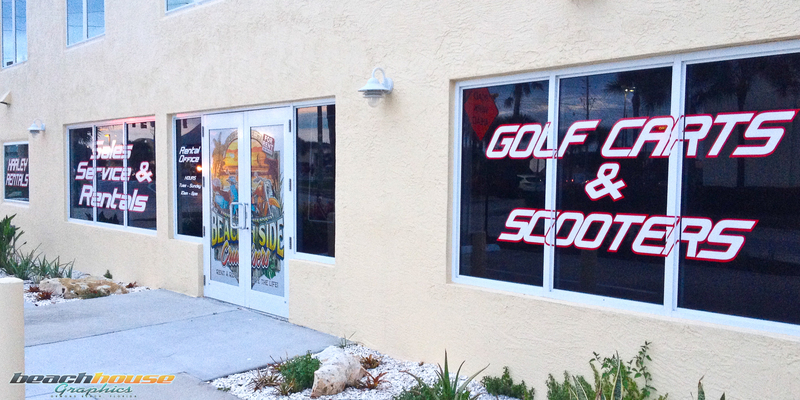 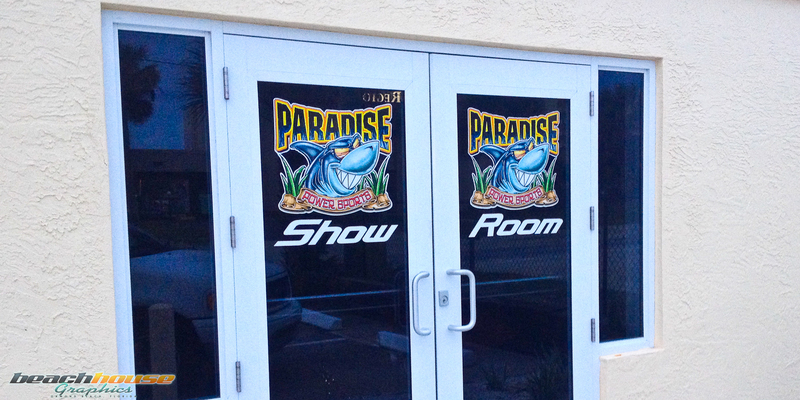 Paradise Power Sports has recently relocated to 3rd Street in New Smyrna Beach, Florida as well as opened a 2nd location in Lakeland, Florida. 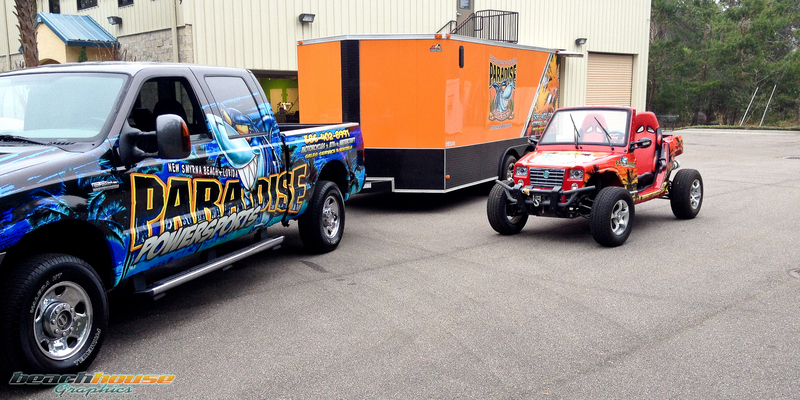 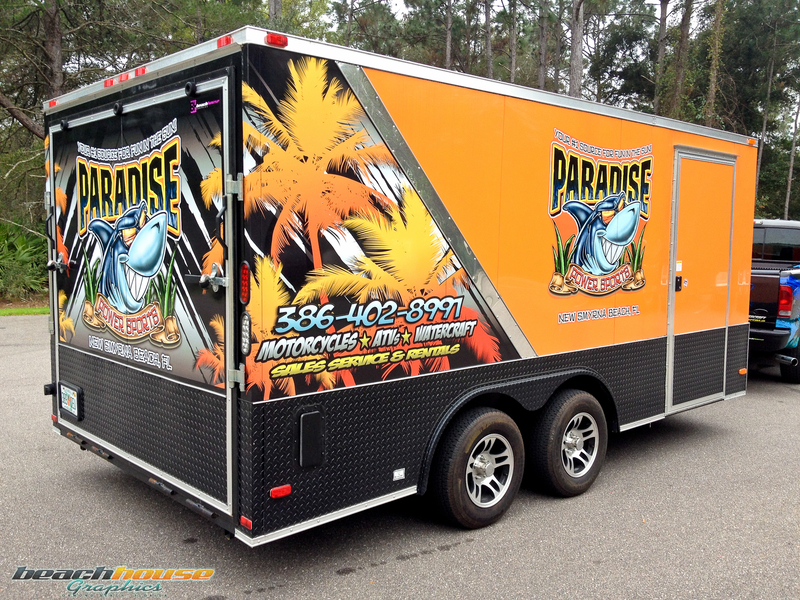 Originally we discussed wrapping a vehicle and a trailer, however Paradise saw the potential for visual advertising at their new location. 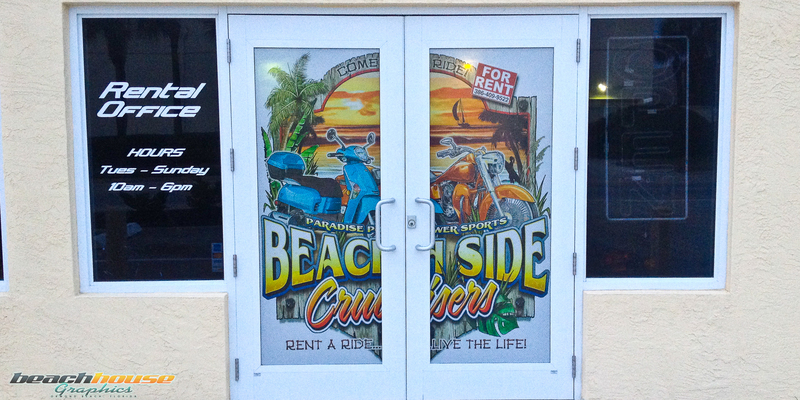 Beach House had the pleasure of laying graphics on their building as well as vinyl wrapping a truck, trailer and the REEPER! 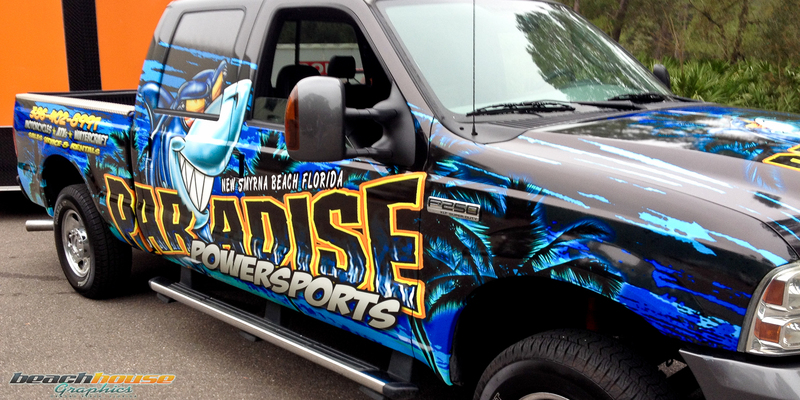 If your in the area stop by Paradise Power Sports and let them know Beach House sent you!! 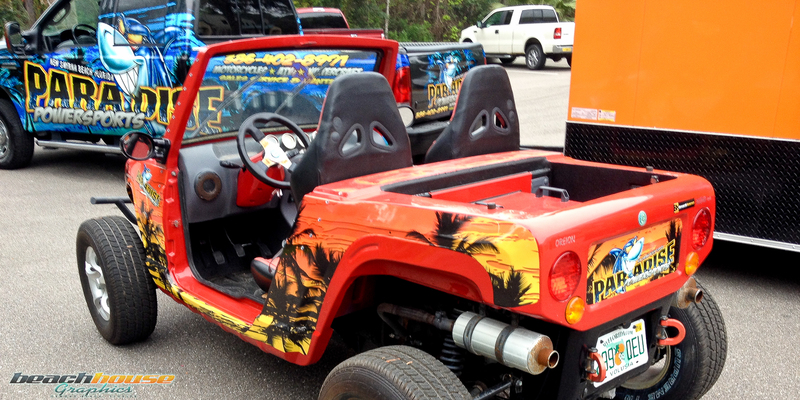 For more information on vehicle wraps, graphics designs, or advertising needs please call us at 386.256.0998 or email us.